At G&G Spa, We provide Therapeutic and Relaxing massage, (manicure & pedicure services on demand) in a professional, relaxing, and welcoming environment. 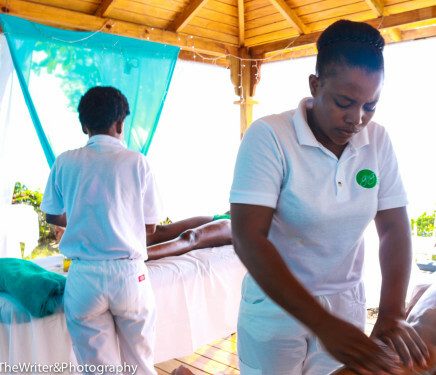 We usually bring along our professional Masseurs & Masseuses, and an adequate equipment to operate the service. 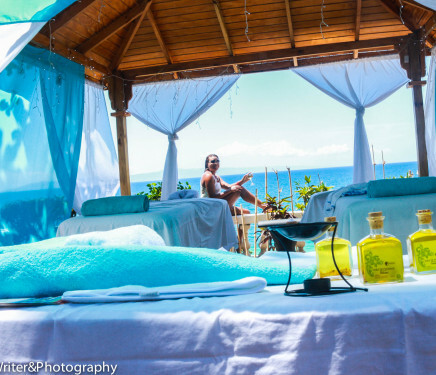 Massage and (Manicure & Pedicure on Demand) could be either room service or in our wooden gazebo in the garden facing the Ocean. 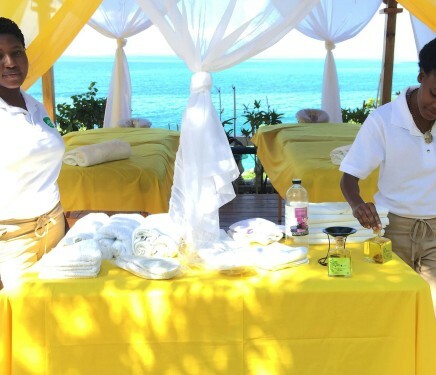 For couple's or group Massage, we can provide this service in the hotel, even in your room, in the garden or on the beach. We arrange a conplete evasion. During the day or evening, we can serve 7 people simultaneously and ensure an ideal setting depending on the term chosen. * This experience can be 40- 60 or plus minutes in duration and is available seven days a week (subject to availability so please reserve in advance). * Therapists operate from 7am - 7pm every day, however this schedule is flexible. Date and time to be arranged with the hotel. All cancellations and booking changes require 12 hours notice. Please note that we will assess a fee of $40 USD if you must cancel after this deadline. Late starts may result in your treatment being shortened.